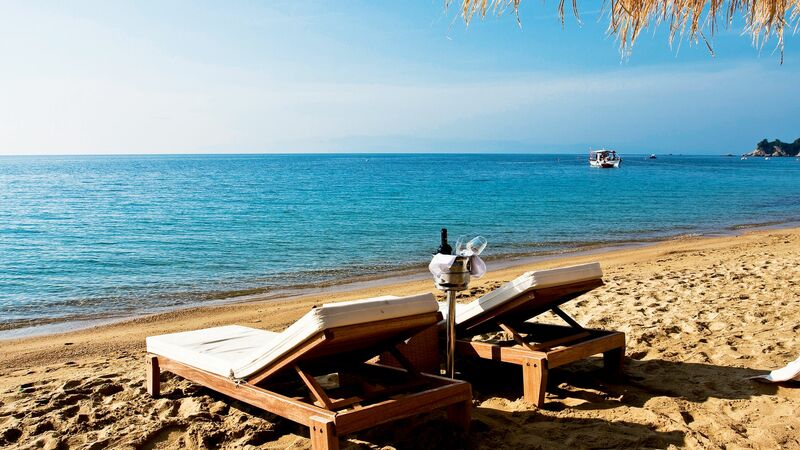 You'll find the lion's share of hotels and villas on Skiathos' south coast. 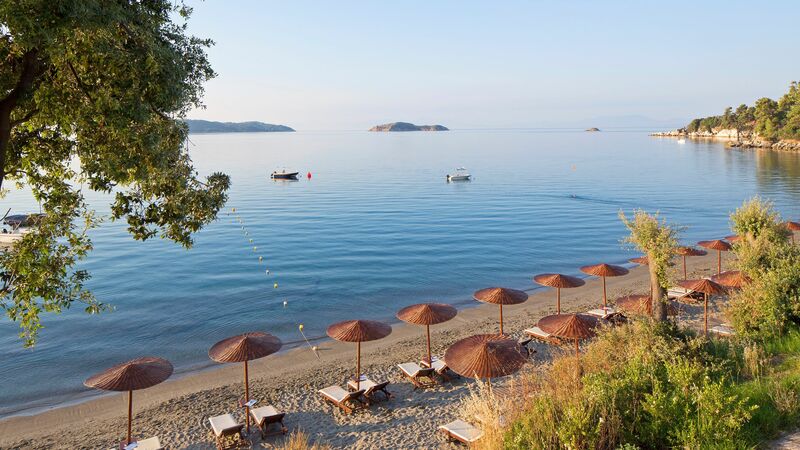 If you're after a peaceful, adults-only retreat, take a look at the hillside Aegean Suites Hotel in Megali Ammos. It's next door to a white-sand beach and features a sea-view pool and a champagne bar. Skiathos Town is close by, too. 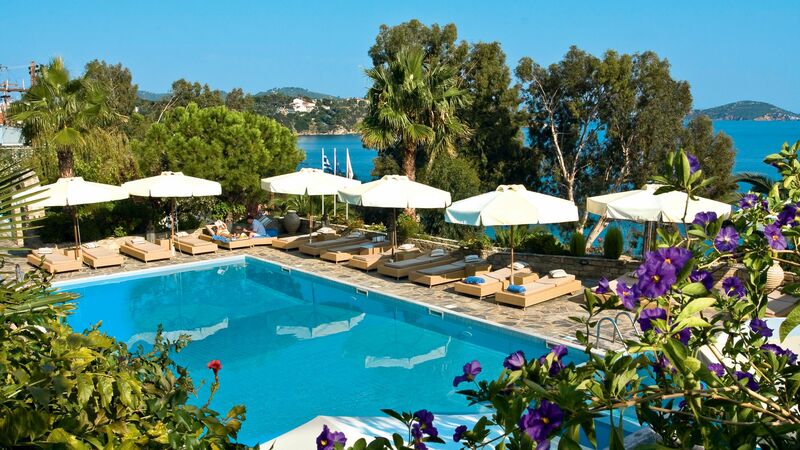 The five-star Skiathos Princess Hotel has a more family-friendly vibe, with a children's pool and kids' club.